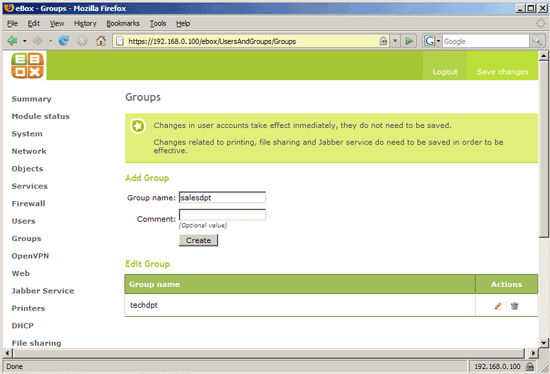 eBox allows you to create groups which can have different permissions. 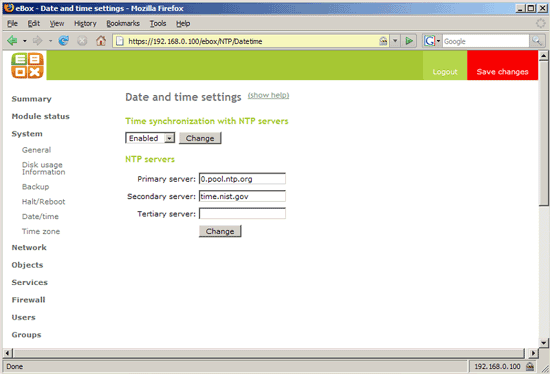 For example, one group could be allowed to use the printer, but not the file server, and vice versa for another group. 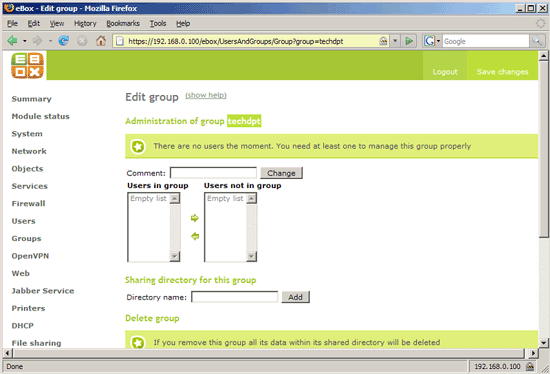 In this article I create two example groups, one for the tech department and one for the sales department (groups are created instantly, so no red rectangle will appear). 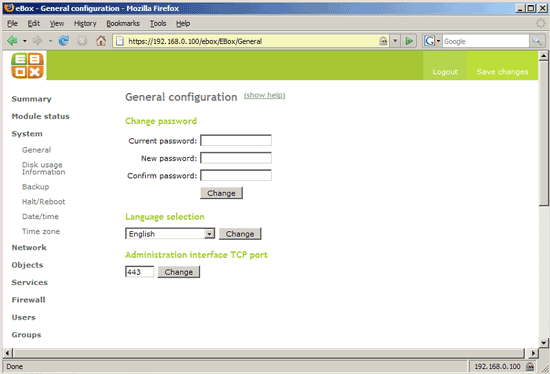 With eBox, you can also create a print server for your network. 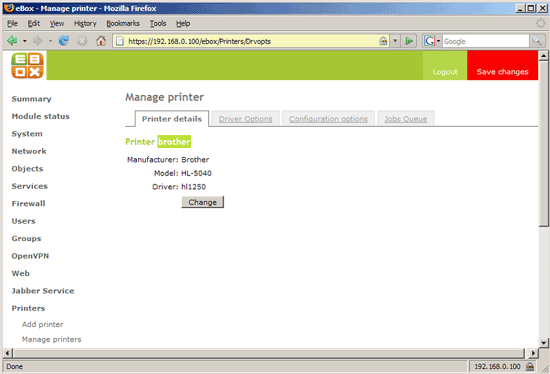 eBox supports USB, parallel, network, and Samba printers. 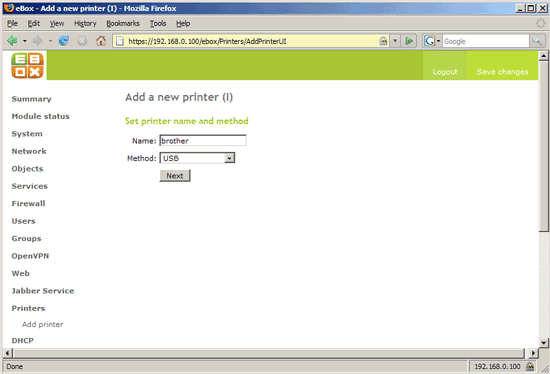 In this example, I have connected a Brother HL-5040 laser printer to my eBox system with USB. 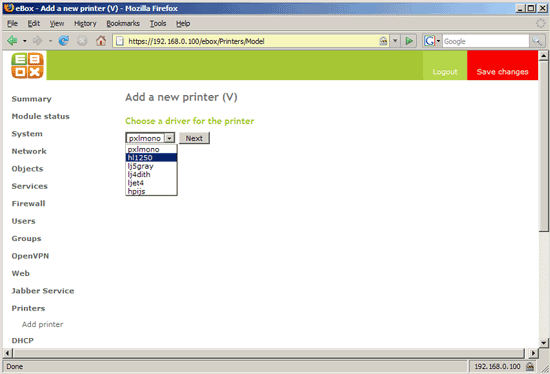 Here you must select the best driver for your printer. You can go to OpenPrinting.org to find out the best driver for your printer model. Don't forget to click on the red Save changes button afterwards. 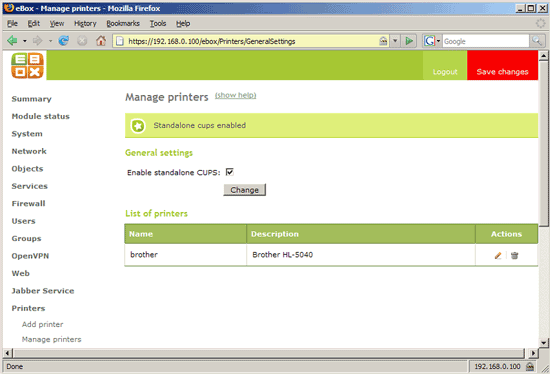 Under Printers -> Manage printers, you can enable standalone CUPS for your printer. I'm not sure if this is necessary. 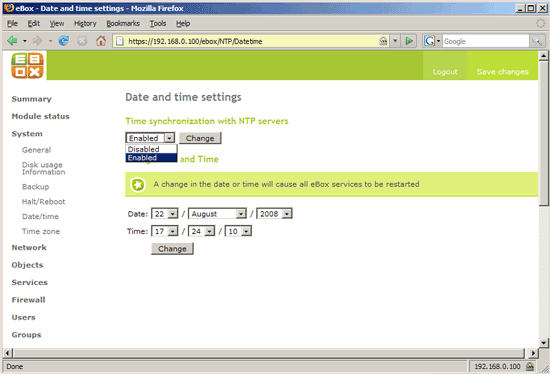 The explanation that eBox gives for this feature is: "This will enable cupsd to listen on internal interfaces to see printers and jobs. 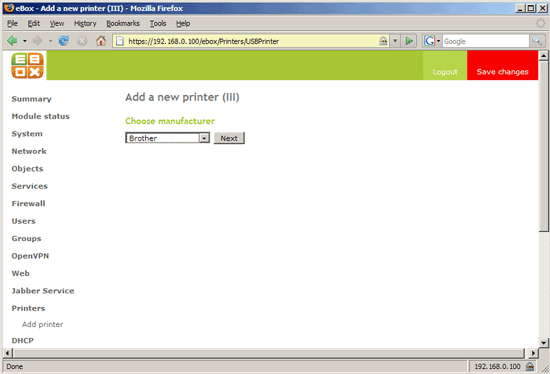 If set, samba is not the only one which can manage the printers."